Looking back at a 1958 design book, 27 Chicago, I noticed some timeless design messages that still apply today. First, what was 27 Chicago? 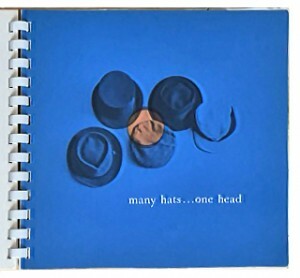 it was a series of self-promotional books that predated current “source books,” such as Workbook.com. 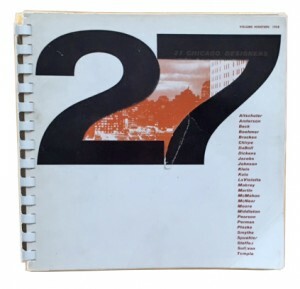 The 1958 spiral-bound book highlighted 27 Chicago designers, illustrators, and typographers. Art directors and art buyers were the target market. I inherited five volumes from my dad when he cleaned out his office many years ago. Each designer had four pages: A right-hand page was an opening or teaser. The following two-page spread showcased the designer’s work, and included contact information. The fourth page was blank except for photography and printing credits. Each one of these books / this series of books is a nice collection of vintage design. Although the artwork looks dated now, many of the designers were quite expressive. Here are a few of my favorite examples (including the style of using lower case typography). Today, designers voice this same message—good design identifies and solves problems. Do you agree? Let’s continue the conversation. Contact N-K, 314-548-6001.